In the fourth installment of this enchanting, beloved series, Isabel Dalhousie, who is now a mother, returns to investigate an irresistible puzzle in the art world. 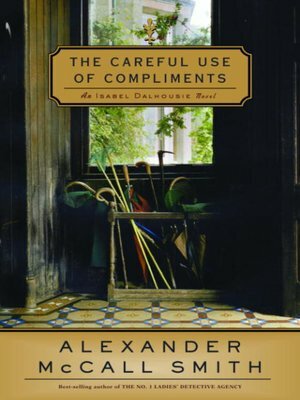 Isabel Dalhousie—the nosiest and most sympathetic philosopher you are likely to meet—now has a son, Charlie, whose doting father Jamie has an intriguing idea to pose to Isabel: marriage. But Isabel wonders if Jamie is too young to be serious? And how would Cat respond? On top of these matters, the ambitious Professor Dove has seized Isabel's position as editor of the Review of Applied Ethics. However, nothing it seems can diminish Isabel's innate curiosity. And when she recognizes that two paintings attributed to a deceased artist have simultaneously appeared on the market, she can't help but think that they're forgeries. So Isabel begins an investigation and soon finds herself diverted from her musings about parenthood and onto a path of inquiry into the soul of an artist.